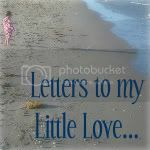 letters to my little love...: What is Christmas all about? "How many presents will Nonnie get me?" This is what you asked me last night, & I cringed inside. I know it's typical for children to be excited about receiving gifts, but I want you to know that this season is about so much more than what comes wrapped inside colorful paper. I want you to know this season is about family & friends & God. More than anything, I hope this season is all about love for you...giving your love to others & being grateful for the love that is given to you by so many. I gave you a stern look, told you if you were going to start counting gifts I would cancel gift giving altogether, & asked you what you thought Christmas was all about. You begrudgingly & solemnly told me, "It's about love & being with family." I know that you were just giving me the answer you knew I expected to hear & not necessarily the answer you felt in your heart. That's when Daddy stepped in. He told you about a family they were "adopting" at work for the holidays. He told you about how the family had been through really hard times. Instead of hoping for tons of toys, this family needed clothes & shoes & food. He asked you to think about how you never have to worry about if you would have clothes to wear or when you would be able to eat again. Daddy told you about how there are many children who have to worry about things like that every single day. He asked if you would help pick out a pair of pajamas & shoes for a little boy who was your same age. You instantly became excited about helping. Just in that moment, the holiday became about what you were planning to give rather than what you were planning to get. I think that's a good place to start.